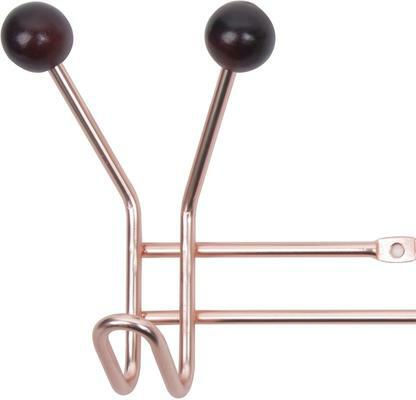 Made for the minimalist, this Jupiter Coat Rack in Copper is a delightful way of keeping your coats, scarves or accessories all organised in one place. The rack is made from quality steel so it's durable and will last a long time. Aside from the cooper finish, you get black wooden balls protecting the tips of the steel prongs. The balls prevent the steel from snagging on delicate clothing items while adding an attractive contrast. Use this in your bathroom or bedroom, or by the front door for ease and accessibility.